Have you ever wanted to own a classic Alfred Shaheen Hawaiian dress? Now’s your chance! 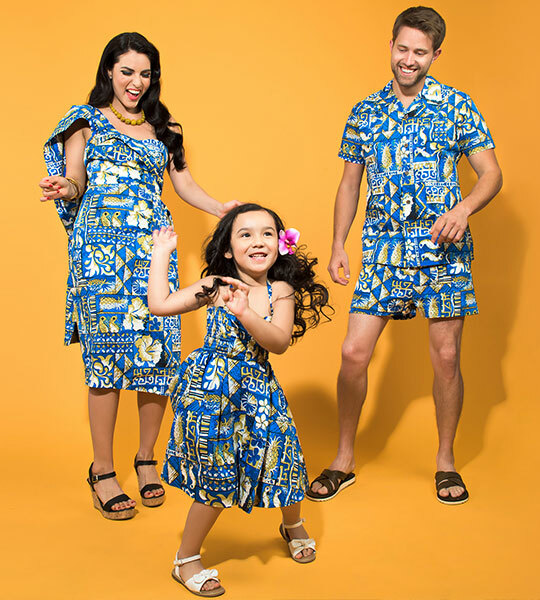 Unique Vintage has teamed up with the iconic aloha brand to reproduce iconic styles from the 1950s and 60s. Complete with matching Men’s Cabana sets and little girl’s dresses, this collection is as vacation-ready as we are! The line features women’s wear cast in stunning original prints and set in styles such as sarongs, swing dresses and rompers available from XS-4X. Bring a touch of the island life to your every day, darling! This fun summer-ready Picnic Collection is filled with every vintage vixen’s warm weather must-haves! 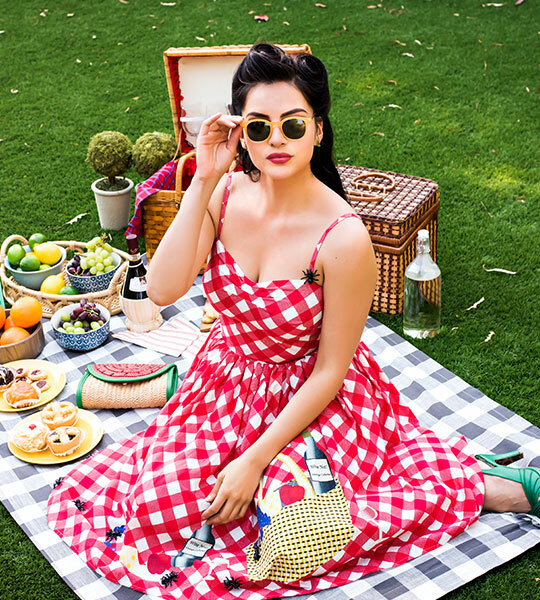 From festive prints and accessories to gingham galore, this adorable line will have you packing your picnic basket in no time. Headlining this adorable collection is a signature dress that features a print of wine, cheese, and fruit on the skirt while a line of novelty ant brooches march their way to the basket. Warm up your wardrobe with these fun and flirty classic summer styles available in sizes XS-4X. Not to throw ants on your picnic…but they won’t last long!